For nearly 20 years Colin has been putting the truths of God's word into song - now his favourite songs about God's amazing Son are together for the first time! Jesus Number 1, Jesus Is The Mighty Mighty King, Jesus Rocks The World, Jesus Is No Fairytale - there are songs about who Jesus is, what he taught, his life, death, resurrection and return - and why we should follow him with all our hearts. 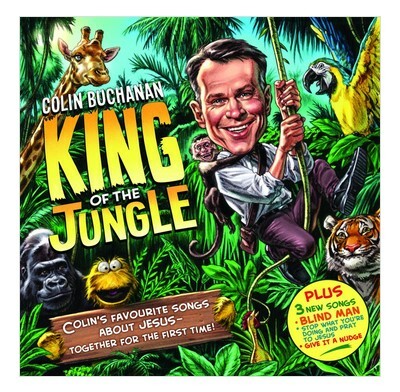 Spend over an hour singing about the King of the Jungle! Along the way, you'll discover Colin's new take on the classic "Blind Man", laugh at Colin and puppet pal Nudge's very first songs together, "Give It A Nudge" and "Stop What You're Doing And Pray To Jesus".